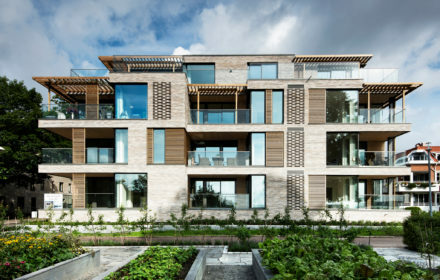 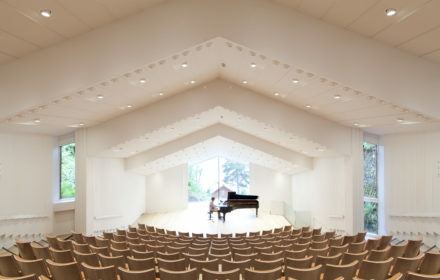 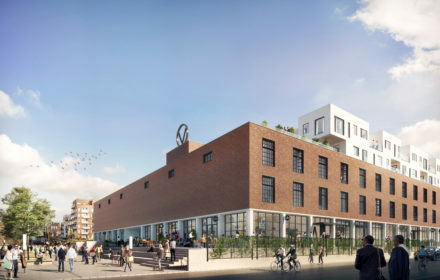 Kvartal 42 was awarded 1st prize in an invited competition held by Morgenstjernen and Filadelfia. 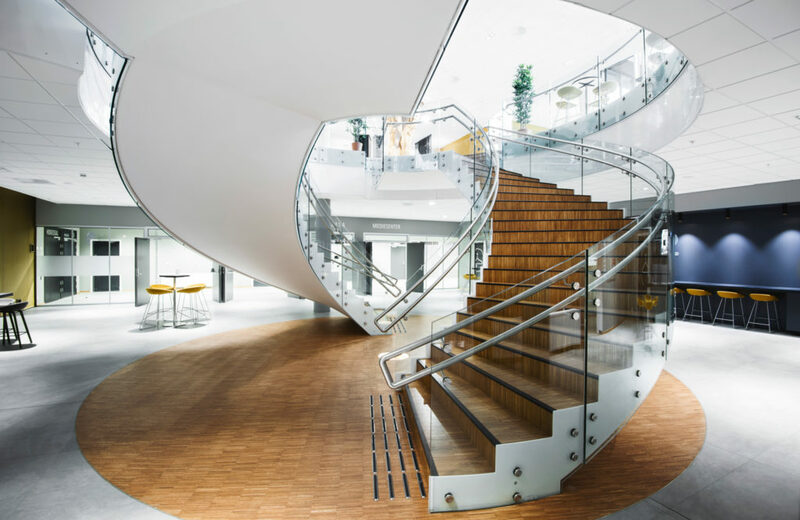 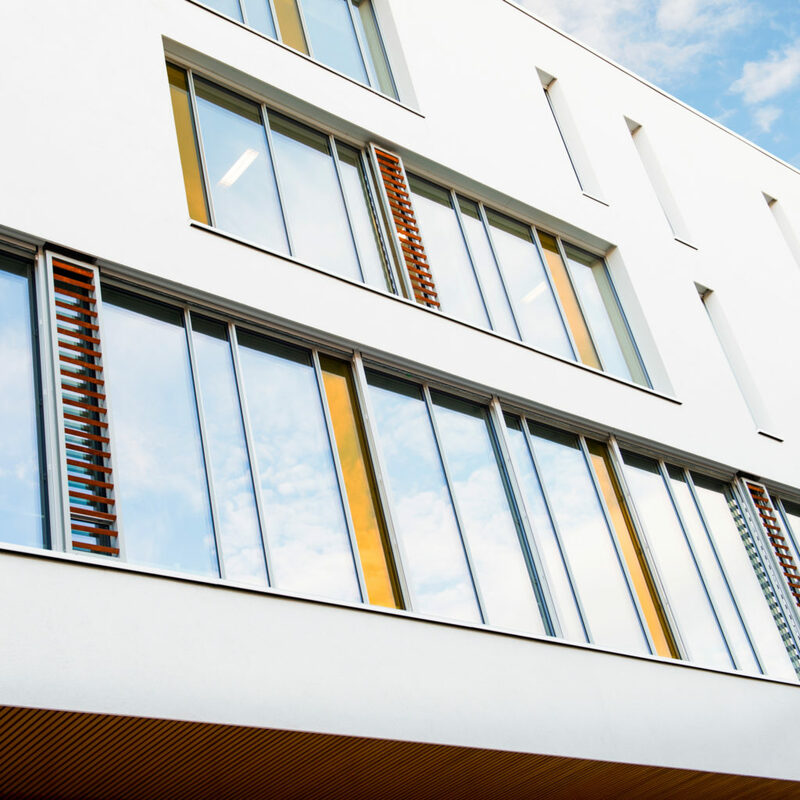 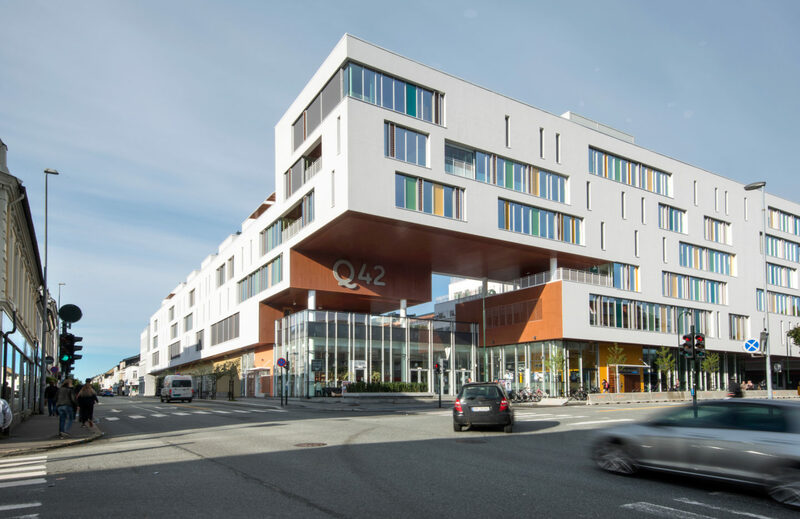 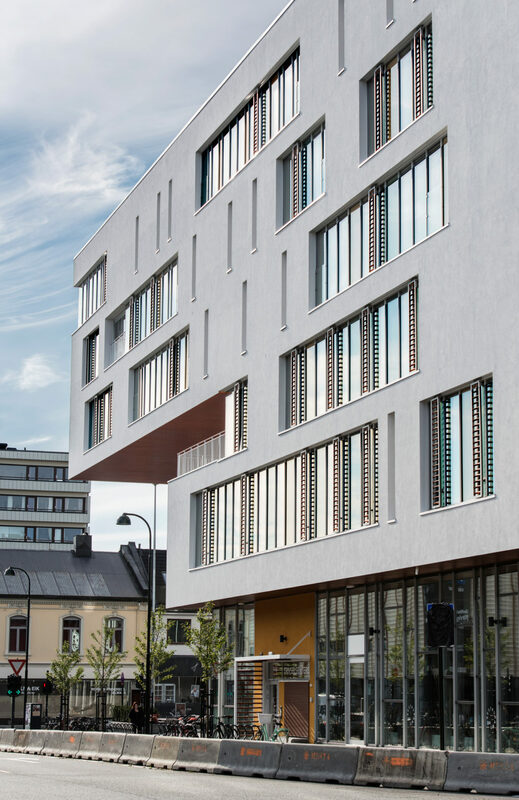 It is a multi-use building that redefines the rigid town grid found in Kristiansand and challenges conventional thinking with its bold and visionary mix of functions. 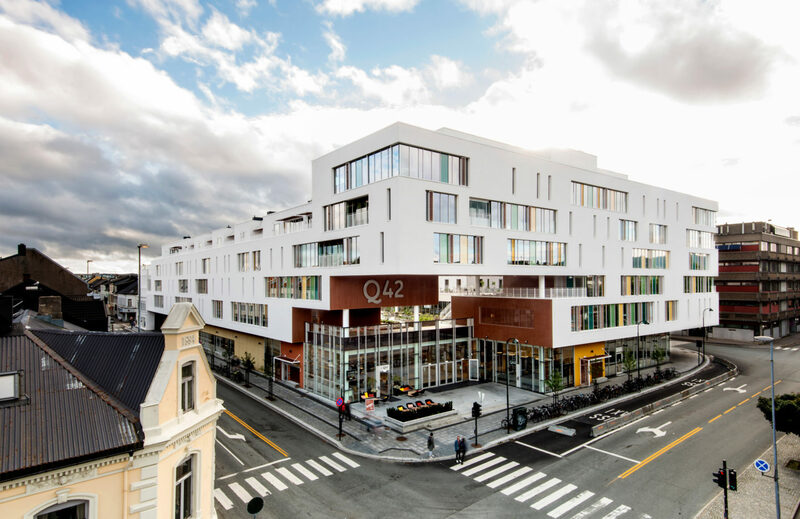 The building invites the city in through a large sculptural opening in its south east corner, marking both the entrance to the historic centre of Kristiansand and to Filadelfia’s church and conference centre. 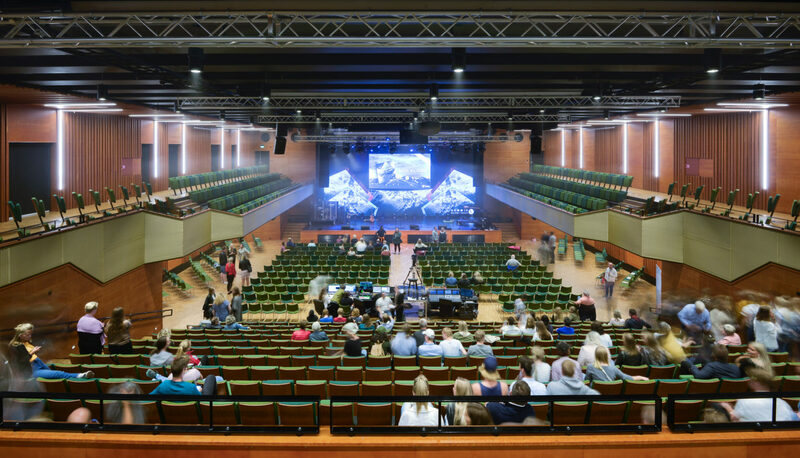 The building houses a variety of functions for people of all ages including a conference centre with a capacity of approximately 1400 people, various restaurants and shops, a youth centre, offices, an old age home, a health centre, a daycare as well as hotel rooms and private apartments. 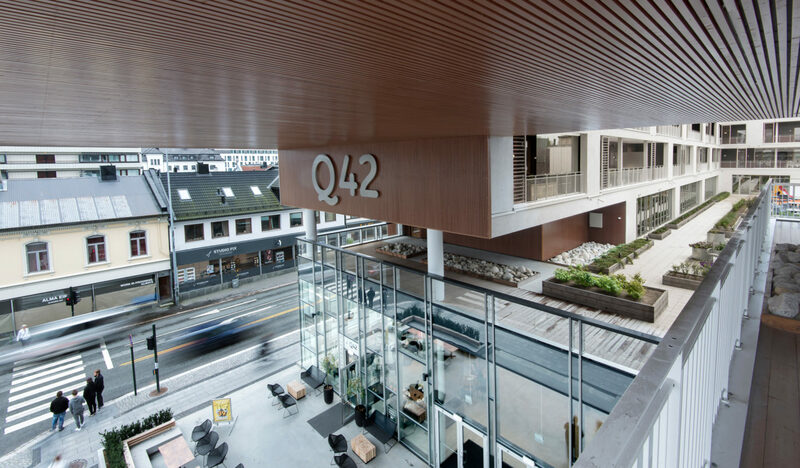 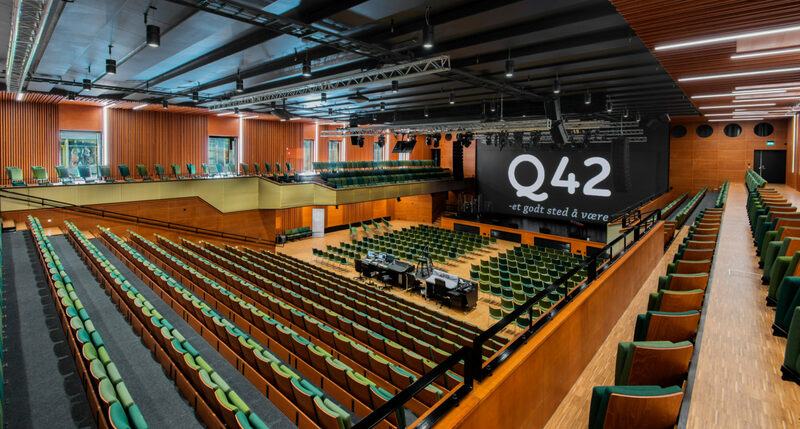 At street level the building is transparent and publicly accessble, not to mention a line of sight down into the large auditorium where conferences, concerts and church services are held. 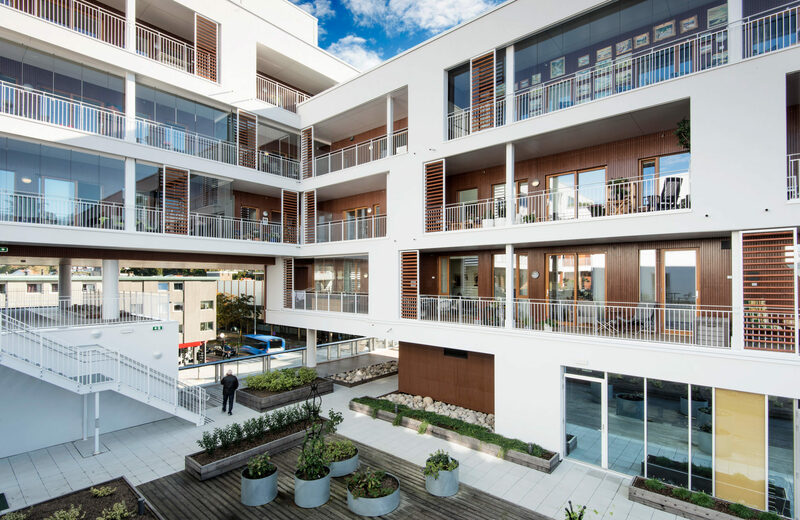 Above street level there is a rooftop garden which is enjoyed by the diverse users of the building.